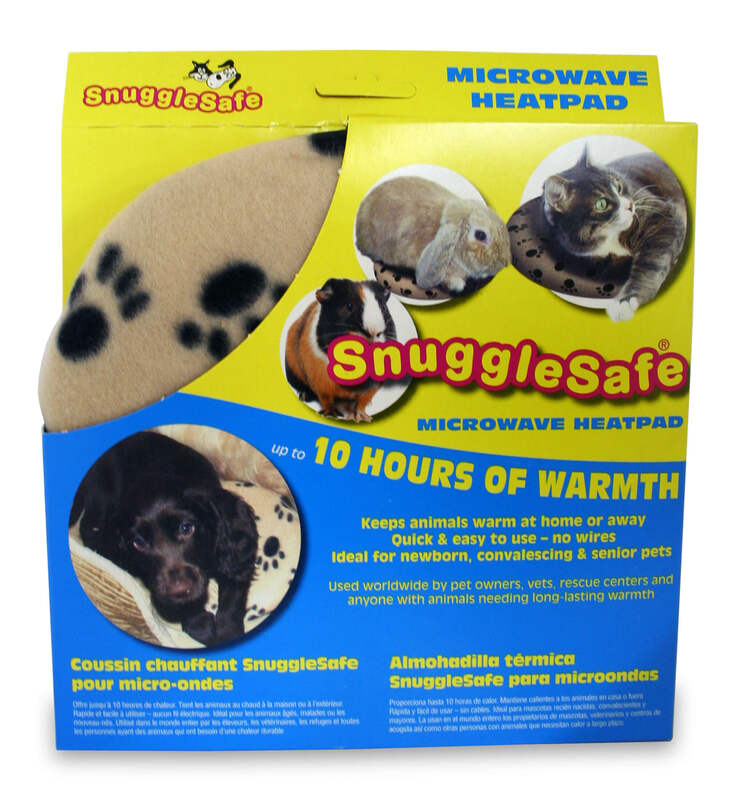 SnuggleSafe Heat Pad: SnuggleSafe heat pad is perfect for puppies, kittens, elderly and recovering pets. Now you can provide warmth for your pets with this innovative disc. Used and approved by vets and top breeders all over the world. Just place in your microwave for 5 to 7 minutes and you will have a durable, long-lasting "hot water bottle". One session in the microwave will provide up to 12 hours of warmth for your pet. SnuggleSafe microdisc is 9" in diameter. SnuggleSafe Comfort cover included. Colors may vary. Always ensure you have a barrier between your pet and a SnuggleSafe Heat Pad.